You can also fit this carol it to Ilkley Moor, good for a light-hearted change, or for keeping going when on a cold winter walk in the Christmas season. The Voiceworks Christmas (OUP) Anthology has two “Gallery” style versions. Because the words follow a rhythm called “Common Metre”, they will fit many, many different tunes – aha, now we are entering a new field of exploration. 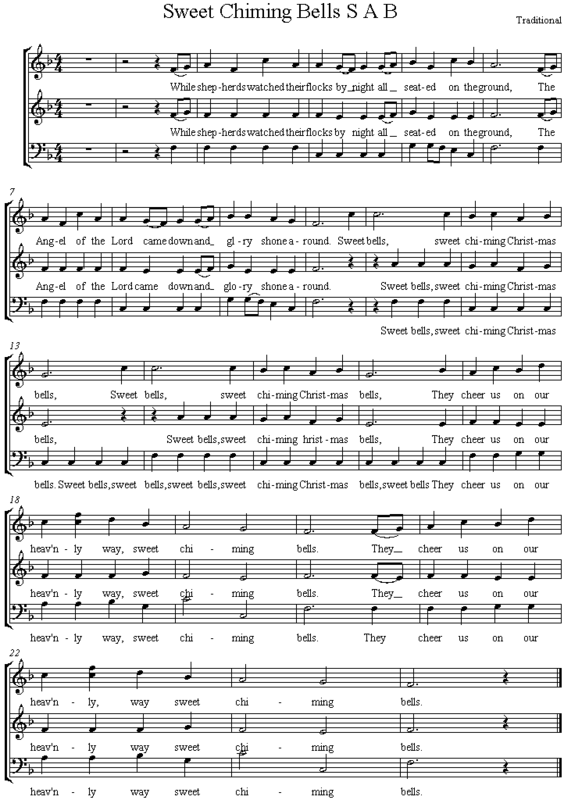 Hymns are sorted by metre, or the number of syllables for each line. Common Metre, CM, is 8 6 8 6. My current favourite tune is “Sweet Chiming Bells”, which I have found in the Voiceworks Folk (OUP) Anthology. The carol has an interesting history – Wikipedia and www.hymnary.org are good starting points, and will no doubt lead you hither and thither across the internet. This entry was posted in Songs, Uncategorized and tagged Christmas Carols, While Shepherds. Bookmark the permalink.